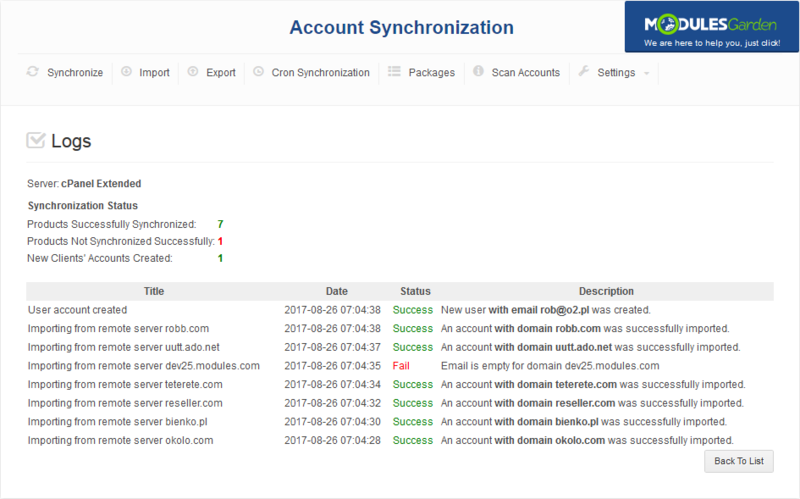 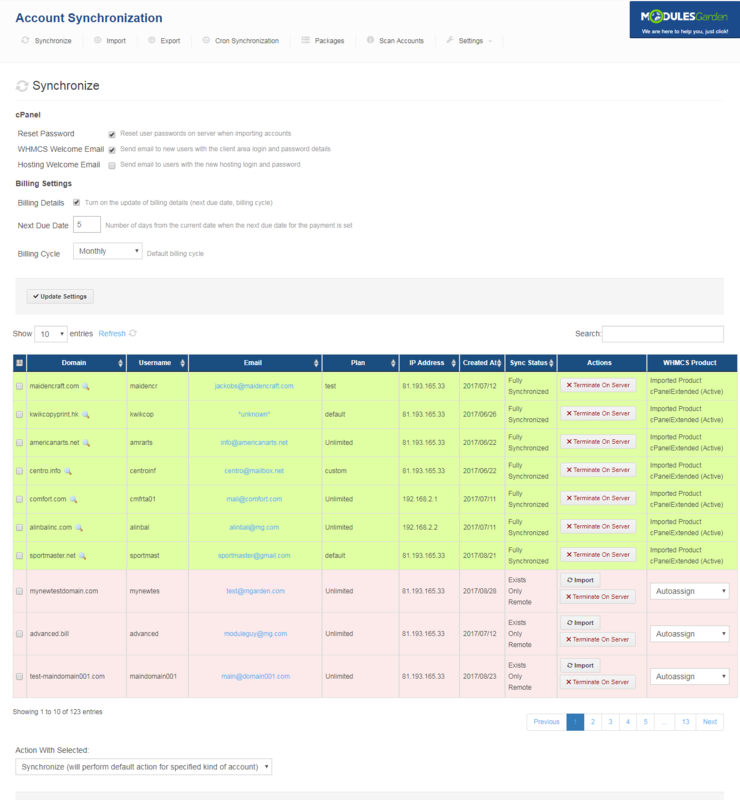 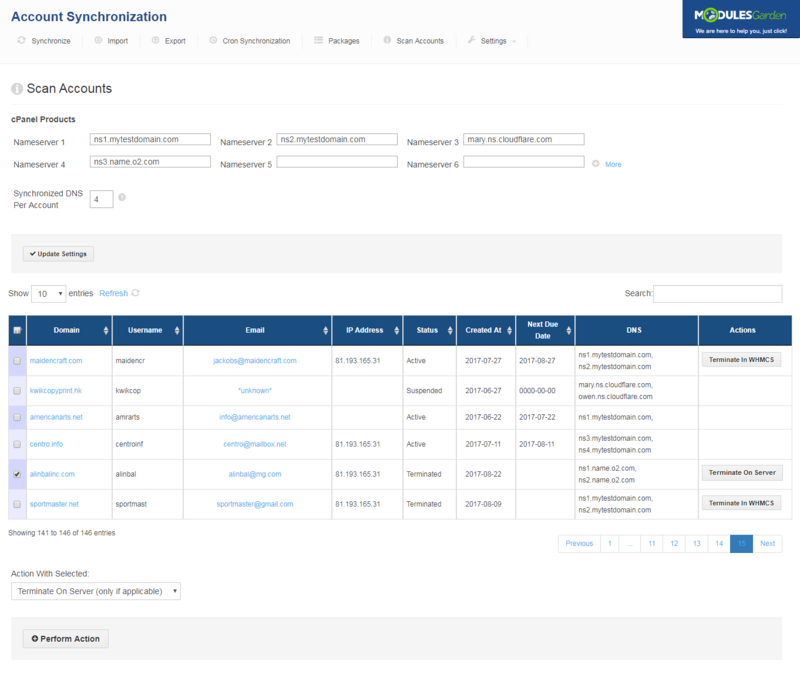 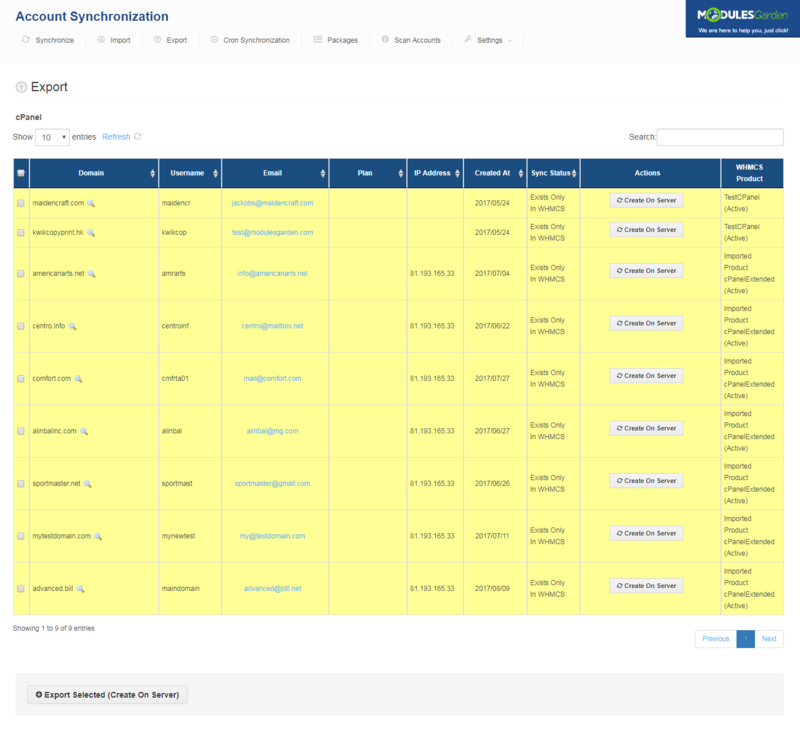 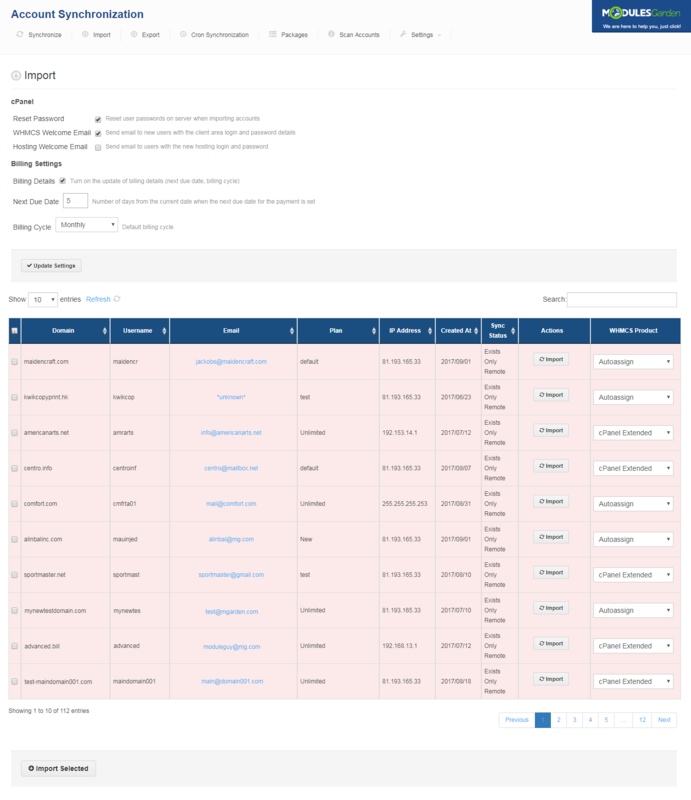 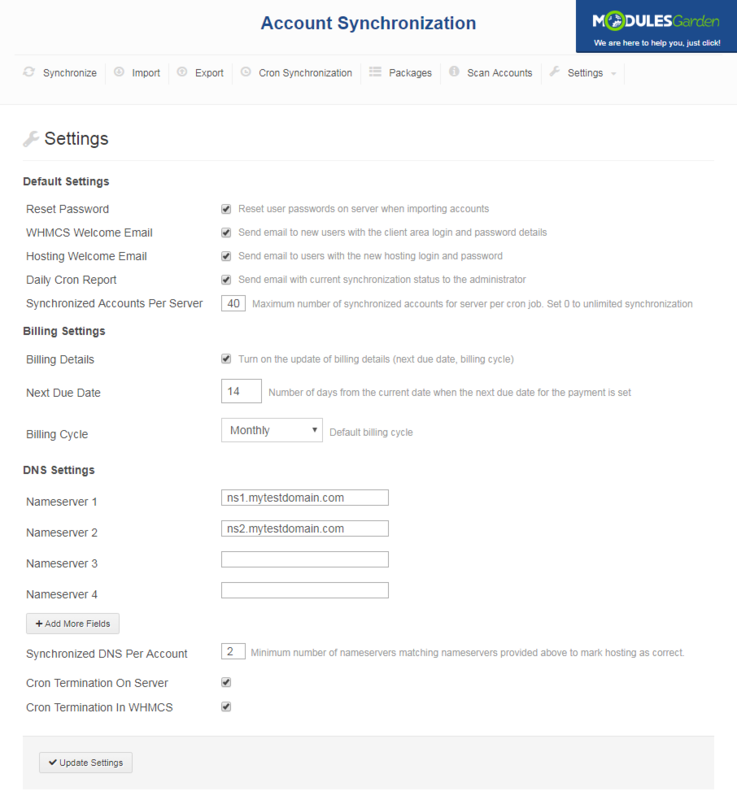 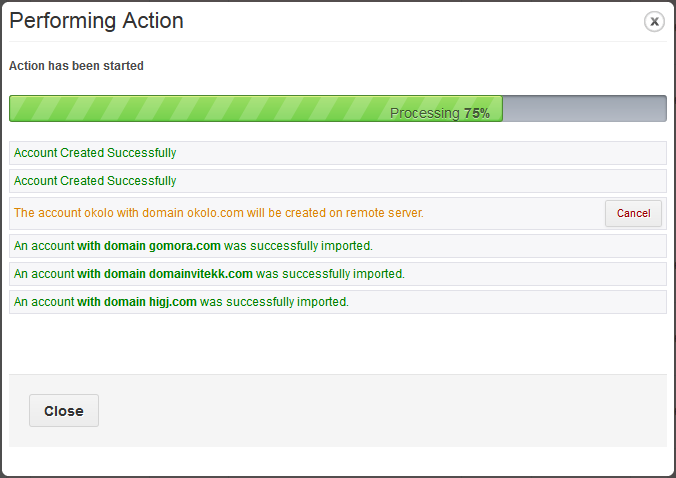 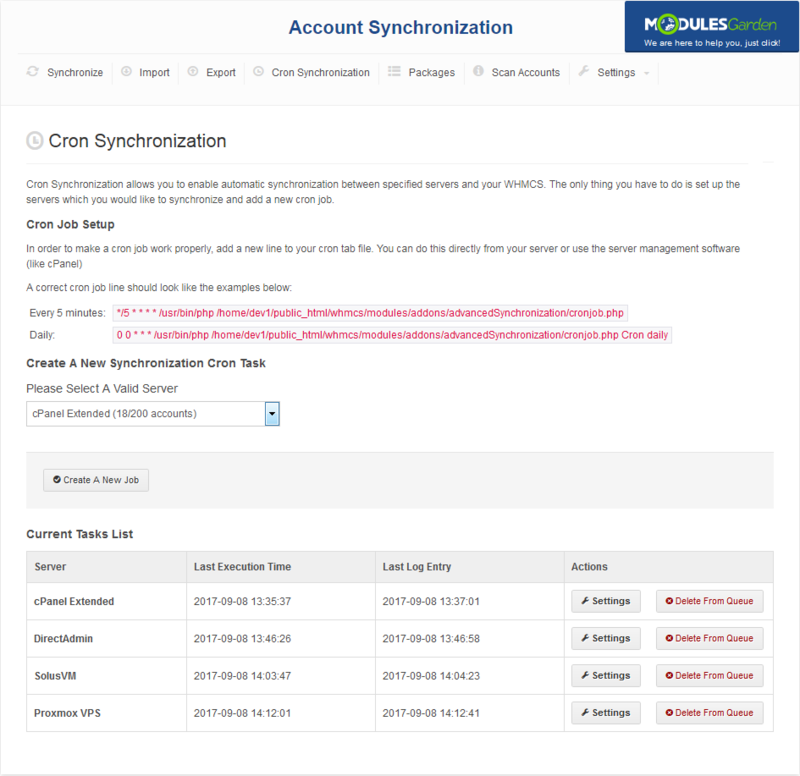 Account Synchronization For WHMCS will allow you to automatically import, export and synchronize accounts of external servers with your WHMCS. 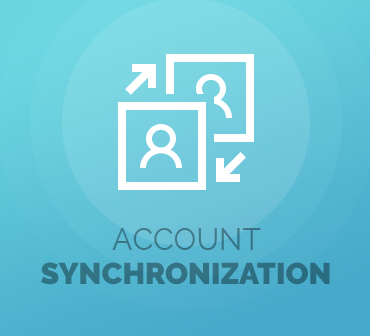 With just a few clicks, you will be able to quickly and capably synchronize products, accounts and clients between your systems. 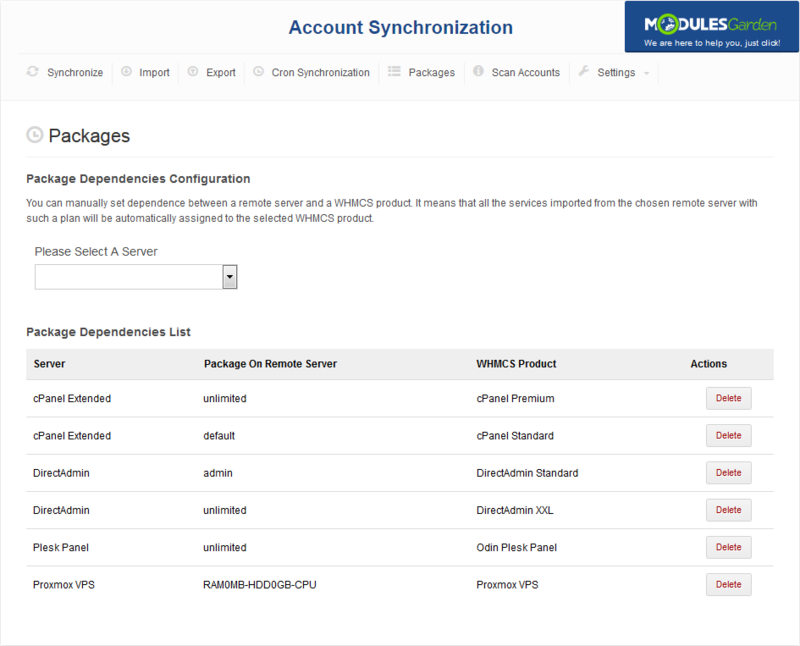 Our module is perfectly compatible with all industry giants, that is cPanel, Plesk, DirectAdmin, SolusVM, Proxmox and OpenStack, so you will obviously find something to your taste!